Your health problem is considered in the context of your complete physical, mental and emotional health history. A Naturopathic physician takes the time to take a thorough history, talking to you extensively about underlying stressors from your history of infection processes, hormonal and blood sugar imbalances, injuries and muscle strain patterns, food and environmental sensitivities, toxic exposures and sources of emotional stress in your life. He/She may also inquire about all your medication and supplements to see if there are any interactions or whether or not you are on adequate dosing. 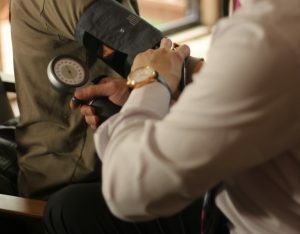 A brief, focused physical examination is performed and, whenever necessary, tests may be ordered, such as blood chemistry, x-ray, tissue mineral analysis, digestive analysis, adrenal stress testing, computerized nutritional analysis, biological terrain analysis or a food or environmental sensitivity screen. Expensive high-tech tests are usually avoided except for those procedures that clearly lead to useful treatments. A standard blood chemistry report shows levels of white blood cells, red cells, platelets, cholesterol, blood sugar, kidney and liver function, and thyroid function. A complete mineral analysis is made from a small sample of hair and shows imbalances of minerals that lead to arthritis, osteoporosis, heart disease, and other conditions, as well as showing toxic levels of heavy metals. This test would lead to a prescription of mineral formulas that balance body chemistry over time. Some patients are directed to test certain hormones, such as insulin and progesterone, as well as the stress hormones DHEA and cortisol, from a simple saliva sample taken at home and sent to the lab. This test might lead to the prescription of natural hormone support that would influence conditions such as fatigue, depression, and low immunity. When there are symptoms indicating digestive disturbance and possible systemic infection factors, such as bacteria, parasites, candida or other yeast microorganisms, a digestive stool analysis might be ordered. This test would lead to targeted treatment of these deep underlying causes of conditions like chronic fatigue or irritable bowel with strong anti-infection remedies. Many patients would also benefit from a simple test of food allergies, based on a few drops of blood from the finger, sent on a strip to the lab to screen for 96 common food allergens. Since food allergy can cause symptoms in all systems of the body, this is an extremely valuable test for anyone. Finally, brief questionnaires can determine your body type, level of toxicity and your requirement of amino acids, the building blocks of brain chemicals and hormones. The ultimate goal of gathering this test information, besides specific nutritional and supplement prescriptions, is to combine this data with information on medical history and symptoms, body measurements and blood type to generate, through a computer program, the complete individualized, prescription Healthscan food plan, unlike any standard diet or fad diet, that would utilize the food as medicine to maintain long-term health and prevent severe chronic disease. Based on all available, up-to-date research on your condition and adjusted to your individual body type or constitution, this plan would provide a clear list of foods to emphasize and foods to avoid that would continue to provide long-term protection.